The defending Champion Chase winner is ante-post favourite to retain his crown at the Festival where he is likely to come up against Big Zeb once again and those looking at the Cheltenham racing tips will be expect and intriguing race. Sunday’s 15 length success at Punchestown was Sizing Europe’s third victory of the season. He started his campaign after his summer break at Gowran Park where he had no trouble in a four runner field. A defeat did follow in the Grade One JNWine.com Chase by Quito De La Roque over three miles, but a return to his favoured trip of two miles did the trick at Sandown a month later in the Tingle Creek. Big Zeb’s defeat at the weekend was his first since finishing second to Sizing Europe in Queen Mother Champion Chase last year. He did beat his rival at the Punchestown Festival in May but his latest defeat has forced his odds to drift for the big race in March and fans of Betfair will have not been impressed by his efforts. Finians Rainbow carries Nicky Henderson’s best chance in the Champion Chase this year. The nine-year old finished second to Captain Chris in the Arkle Trophy in 2011 but went one better in a novice chase at the Grand National meeting a month later. 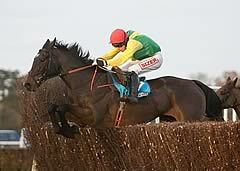 His latest run was in the Victor Chandler Chase at Ascot where he finished second to Somersby in a top quality field. Finians Rainbow looked like he had the race at his mercy when travelling well in the final stages, but Somersby dug in and got up to win by a length.